Voltage ratings from 2400V to 7200V. Primary and secondary terminals are brass screws (10-32) with one flat washer and lockwasher. 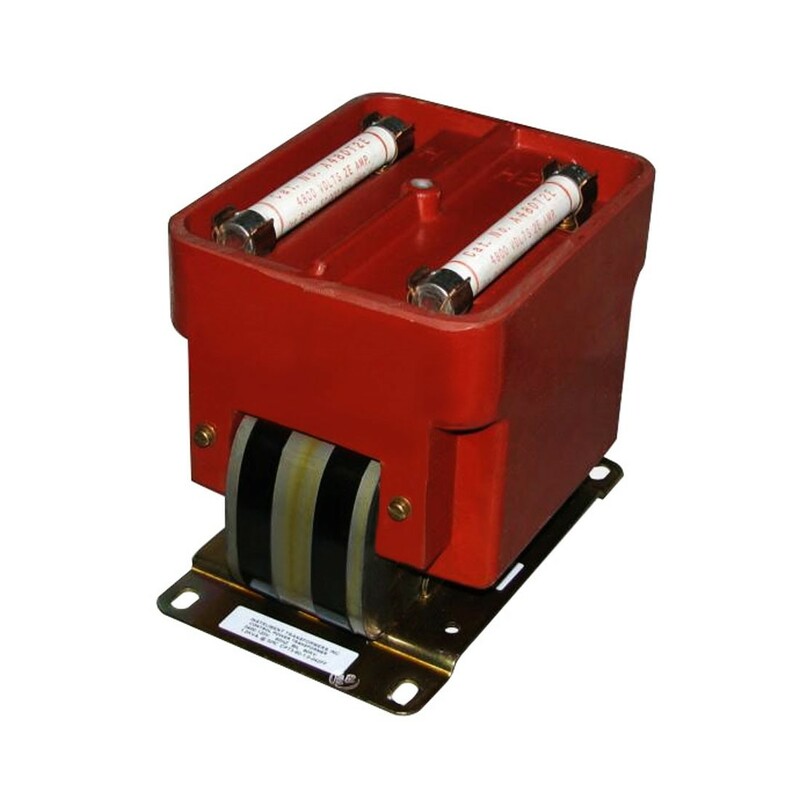 Transformer winding is vacuum encapsulated in polyurethane resin. Steel mounting base is removable and can be rotated 90 degrees. Suggested fuse rating is 50kA RMS and diameter is 0.81″. 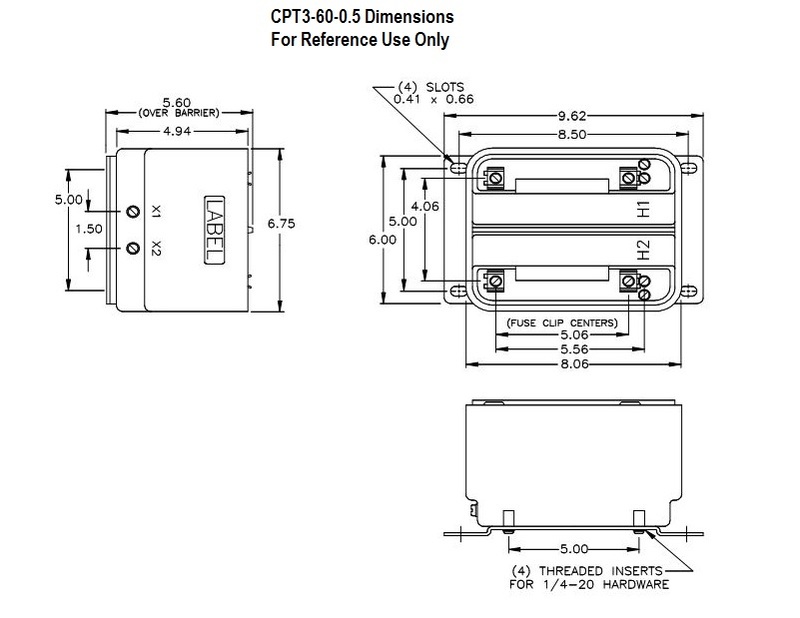 Higher fuse ratings are available, see datasheet for more information. Can provide control power in distribution equipment motor starters or be used directly with recording volt meters.